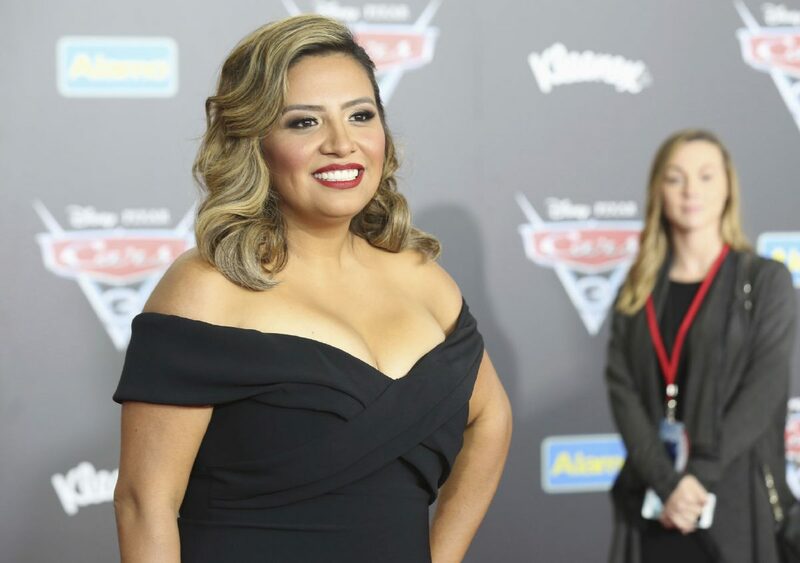 Cristela Alonzo arrives at the Los Angeles Premiere of "Cars 3" on Saturday, June 10, 2017 in Anaheim, Calif.
Cristela Alonzo shines in “Cars 3” as her character’s story arc echoes her own journey to become a successful actress and stand-up comedian. An homage to NASCAR and its legacy, the third installment of the animated Disney•Pixar franchise opens in movie theaters today. Alonzo, 38, was born in Hidalgo and raised in San Juan. In her first major film role, Alonzo voices Cruz Ramirez, a tech-savvy trainer for veteran racecar Lightning McQueen (Owen Wilson). Lightning must work with Cruz to return to his beloved sport after he suffers a devastating crash. But Cruz’s training regime frustrates Lightning when they don’t progress as quickly as he prefers.